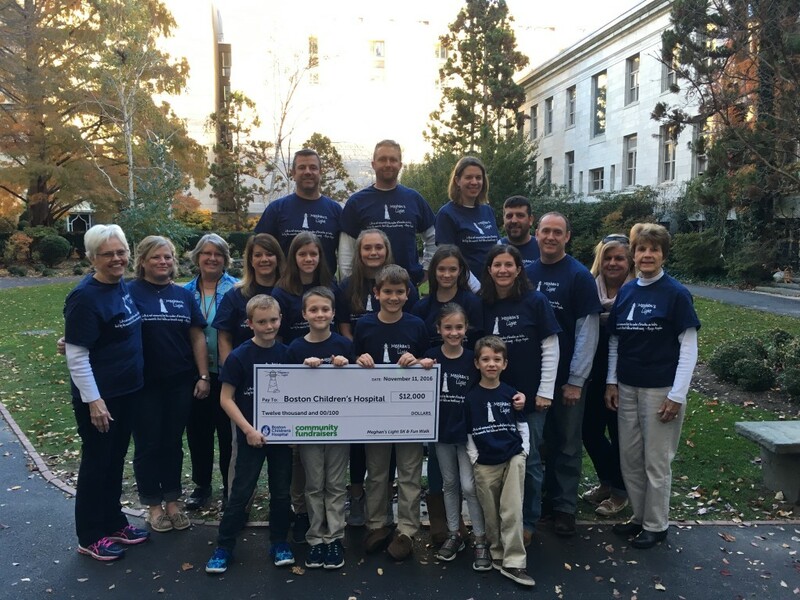 Meghan's Light 1st Annual 5K Raised over $37,000 in 2015! Meghan’s Light commemorates the life and legacy of Meghan Hukowicz Zoll. One day after her 39th birthday in September 2014, Meghan succumbed to cystic fibrosis (CF) after a valiant 78-day fight against the disease in the ICU at Brigham and Women’s Hospital in Boston. Meghan was a mother, wife, daughter, daughter-in- law, soul sister, niece, cousin, godmother, friend and colleague. Meghan lovingly inspired family and friends by her courage, strength, and determination in her day-today battle against CF for 39 years. She was feisty, radiant, warm and caring. Friends and family were devastated by her loss and came together a few months after her funeral to celebrate her. The December 2014 meeting evolved into Meghan’s Light whose mission is to support finding a cure for cystic fibrosis and to inspire hope and courage in patients, families and communities impacted by the disease. Meghan’s Light remembers the light without and the light within that radiated from Meghan during her earthly journey and the continued presence of her light that shines brightly today. Meghan’s Light, Inc. was approved as a 501 (c) (3) by the IRS on September 30, 2016.